Update 11 Mar, 2016: The next Hearthstone expansion, what it is, will be revealed live on stage tonight. As promised, Blizzard’s live presentation of what’s next for Hearthstone begins in just about half an hour at the start of the American Winter Championships. You can watch it here, or keep refreshing for all the details as they happen. 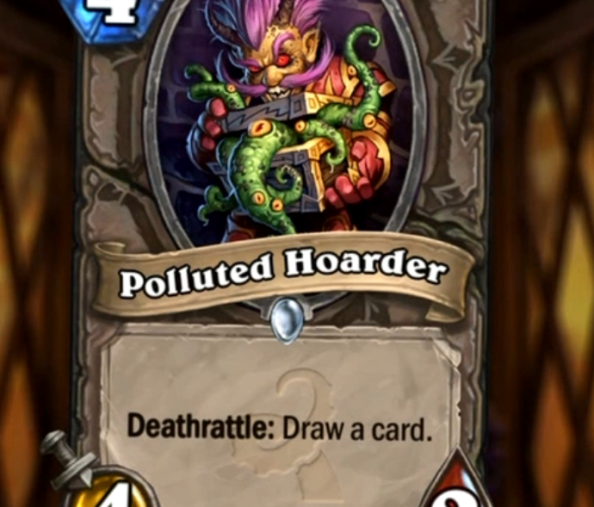 The best Hearthstone decks will soon be a very different shade of purple, it seems. Once the livestream is over, embedded below, it will transition straight into the competition itself. A patch on Monday will preview the UI changes for the Standard/Wild formats, introduce the 9 extra deck slots, and bring the recently announced deck recipes, as well as some other bits. A new cinematic introduces the new expansion – which is indeed Whispers of the Old Gods – with the requisite Hearthstone singing. 134 cards, out late April / early May. Those leaks are looking mighty accurate. A pre-purchase deal will go live next week that will reward the card back. 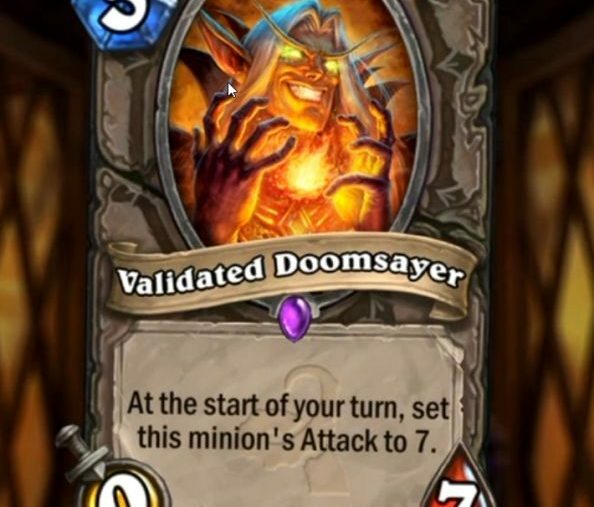 That’s everything from the special presentation, but the development team said that more cards would be revealed regularly through the broadcast. 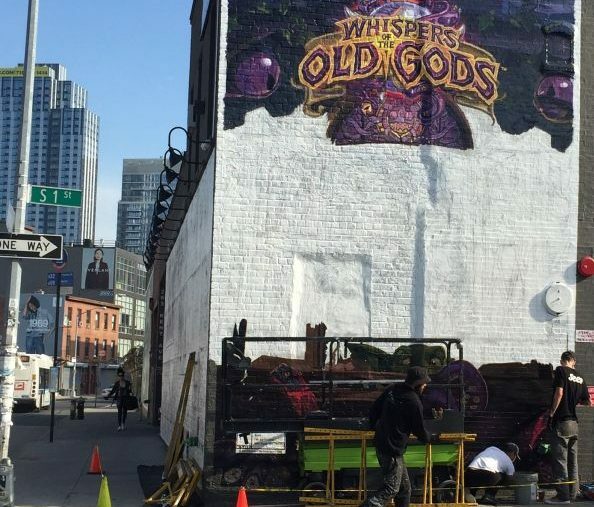 Update 10 March, 2016:Since what we heard earlier about Hearthstone’s Old Gods expansion, there’s been another possible leak. TyC Sports claim they were present at a Hearthstone press event where they were privy to the details of the upcoming Hearthstone expansion. It’s since been taken down, likely because they put it up too early and Blizzard shouted at them, but you can see it all through the power ofarchiving and Google Translate here. 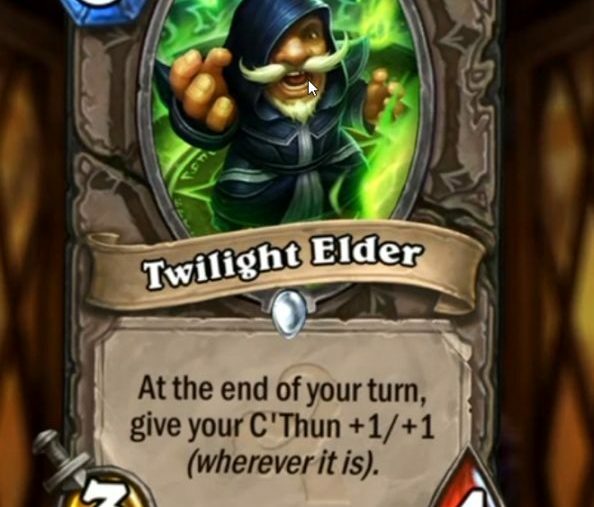 The expansion will apparently bring 134 new cards and 16 of them will interact with the Gods, four powerful 6/6 cards. 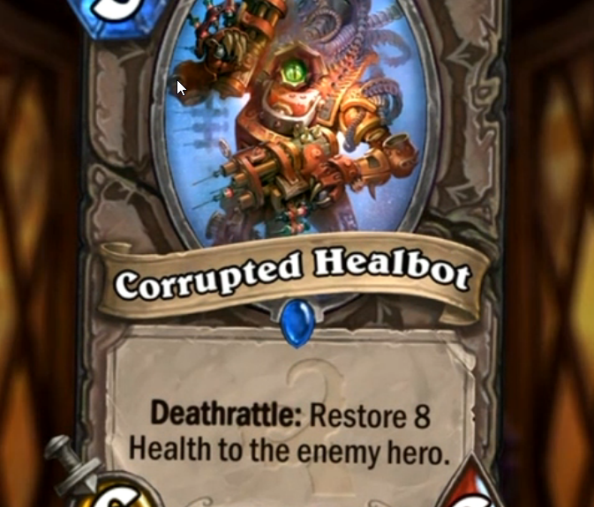 The 16 will buff them as soon as they’re deployed, making them even more formidable and even combining with their powerful battlecries.The now-removed article also claimed that Whispers of the Old Gods is due out in late April or early May, while standard,Hearthstone’s new format, will launch next week. AReddit moderatorsaid later that a Blizzard employee had confirmed to them that this was not the case, and the Standard/Wild split would come with the launch of the expansion – but didn’t confirm when that launch would be. Original Story 10 March, 2016:When it comes to marketing leaks, I feel like there were probably ways to avoid this one. 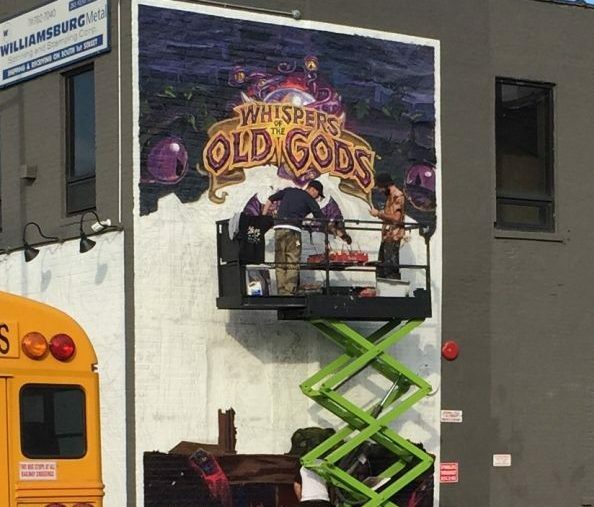 A Redditor going by the name of That_Azzin posted two photos of the mural you see above, one from yesterday and one from this morning of it slightly more finished. It matches rumours that had been passed around the community over the past couple of weeks that the next Hearthstone set would be focused on the dark magic of WoW’s old gods, one of the bigger bads in the lore. 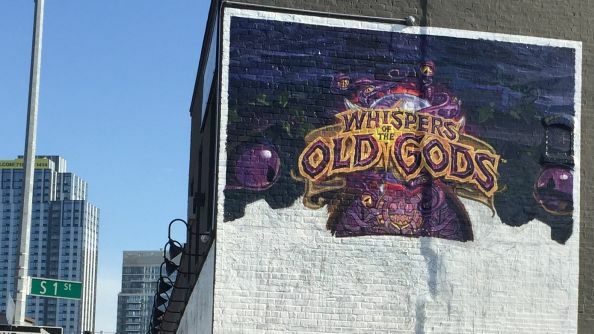 The layout, iconography and text all match previous Hearthstone expansions in style, all-but-confirming that Whispers of the Old Gods is the announcement due to be made tomorrow. And the second, from today, with a bit more detail completed. As he explains, the Old Gods are Azeroth’s own Cthulu-like gribbly tentacle spewing ancient evils who really want to end the world and really don’t want to let you live. 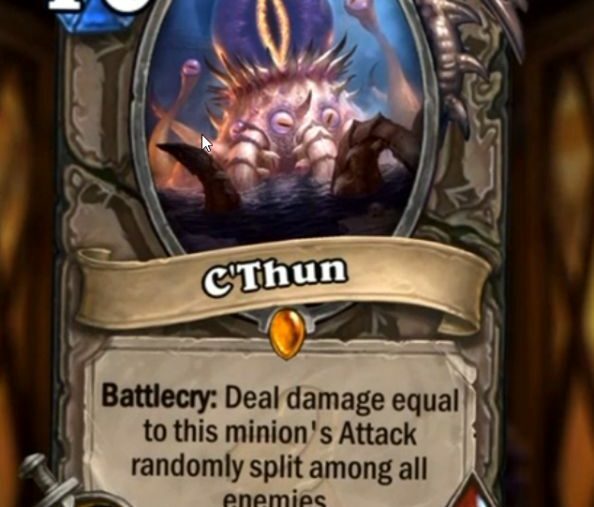 For Hearthstone, this means we’re probably going to get some really sweet Legendary cards based around C’Thun, Yogg’Saron and probably a few of their nastier friends, brothers and underlings. Information on exactly how this has all been interpreted in Hearthstone will likely be revealed tomorrow, at the start of the Winter Championships, as announced earlier in the week. See our previous post for exact times and where to tune in.